This video shows a biker ticketed for riding outside the bike lane. The biker then goes on to document why it might not be safe to always ride inside the bike lane with funny examples. 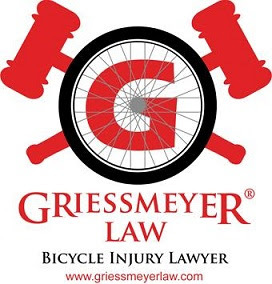 In Wisconsin, bicyclists are generally required to stay as far to the right as is practicable unless they are traveling at the normal and reasonable speed of traffic at that time. Wisconsin bicycle law also allows for bicyclists to move left when reasonably necessary to avoid unsafe conditions, including fixed or moving objects, parked or moving vehicles, pedestrians, animals, surface hazards or substandard width lanes that make it unsafe to ride along the right-hand edge or curb. Although Wisconsin biyclists are allowed to ride outside of a bicycle lane under the above conditions, No operator of a motor vehicle may drive upon a bicycle lane or bicycle way except to enter a driveway, to merge into a bicycle lane before turning at an intersection, or to enter or leave a parking space located adjacent to the bicycle lane or bicycle way. Persons operating a motor vehicle upon a bicycle lane or bicycle way shall yield the right-of-way to all bicycles and electric personal assistive mobility devices within the bicycle lane or bicycle way.